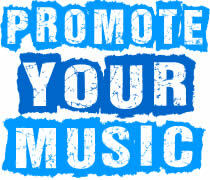 Are you a Musician and need Publicity? We can make you Blow to the World! The Music Industry is a very Competitive one full with Great Opportunity, With the Right Means to Promote yourself & Music, Then you're definitely on the Right Path to Become a Super Star. codedkid is your Best Answer to Make Wave in the Music Industry, codedkid Music Downloading Rates is Currently been Ranked over other Top Music Website. Then Let Codedkid do the Work for you with a little Token. WHAT ARE THE ADVANTAGES OF PROMOTING MY MUSIC ON CODEDKID? codedkid Promoted your Music to the Top. 4. Interested Bodies, Promoters, Producers can Contact You through your Facebook Address, Twitter and Phone Numbers right from your codedkid Music Page. 5. You can Connect your Codedkid Music Page to your Facebook Page. 6. With the Like, Tweet and Share Button, You can Inform others about your Music with a Single Click. HOW CAN I PROMOTE MY MUSIC ON CODEDKID?